Through our partnership with Kids in Need Foundation over the past 6 years we have donated over 20,000 backpacks full of supplies to K-6 children in need in the communities surrounding our two facilities. The Kids In Need Foundation’s mission is to ensure that every child is prepared to learn and succeed by providing free school supplies nationally to students most in need. For more information, visit kinf.org, and join them on Twitter. American Licorice Company continued our support of local students at our first ever Rock the Block! 1,400 new backpacks filled with school supplies were given to the local students in need. It is our hope that every child begins the school year prepared and excited to learn! 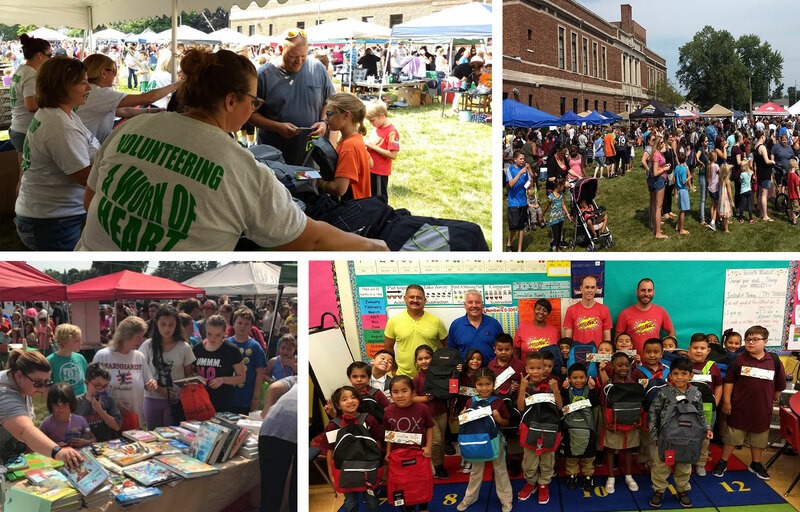 Over 20 community organizations were involved in providing their resources and back to school supplies to ensure that the event was a success. We look forward to our next Rock the Block and hope to continue the spirit of learning in the community! All our associates receive 16 paid hours to volunteer and enrich their communities every year. We believe volunteering is just as much about enriching our associates life and experiences as it is about their contributions to our communities. We hope our associates are able to share their time and talents with our communities or even learn new talents to bring back to work. Our volunteer program is a nice intersection between the “community” and “people” prongs of our CSR strategy. Ultimately by promoting volunteering we hope to create an engaged associate and be a leader in our communities that people are proud to work for. We hope to be an inspiration to those in our communities and create a ripple effect of volunteering. Every 3 months, each associate who volunteered in the previous quarter is entered into a drawing to receive a grant to award to their nonprofit of choice. 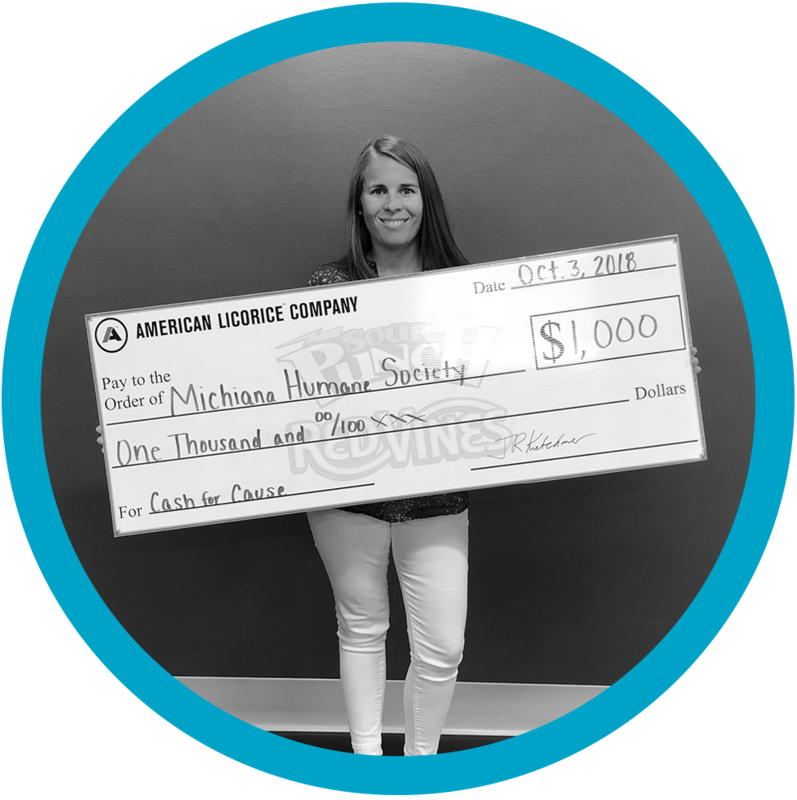 THIS QUARTER: Jenn Piotrowski won $1,000.00 for the Michiana Humane Society! 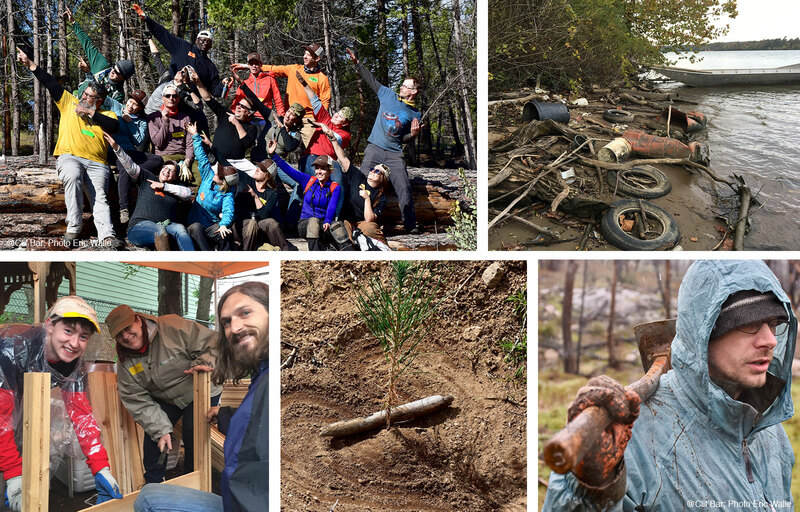 In 2017, we sent two associates on week-long service projects with In Good Company, a multi-company community service program led by Clif Bar & Company, supporting community solutions through hands-on projects focused on food, housing, and environmental restoration. Through these trips, our associates have helped to revitalize various communities around the country. During a six-year drought from 2011-2017, the Stanislaus National Forest was ravaged by a manmade megafire in 2013, followed by an infestation of bark beetles. That environmental triple punch devastated millions of conifers. As part of the long-term effort to restore the Tuolumne River watershed, American Licorice representatives collaborated with the Tuolumne River Trust, the US Forest Service, volunteers from 10 other companies, and local community members to plant 2,470 trees on a total of 18 acres. While in the Stanislaus National Forest, they learned about sustainable forest management and environmental conservation, too. Many Bronx residents suffer from a lack of local grocery stores, making access to fresh and healthy food choices difficult. Additionally, residents have high rates of obesity, asthma, diabetes, and hypertension, the all-too-common diseases of "food deserts." In 2017, our associates headed out to the Bronx to help revitalize the Garden of Youth, a 9,000 square foot community garden that had fallen into disrepair. Working closely with Bronx Green-Up and the Mary Mitchell Center, nineteen volunteers from 13 companies built an 8’ X 16’ greenhouse, 31 garden beds, planting tables, picnic tables, a children’s labyrinth and play area. 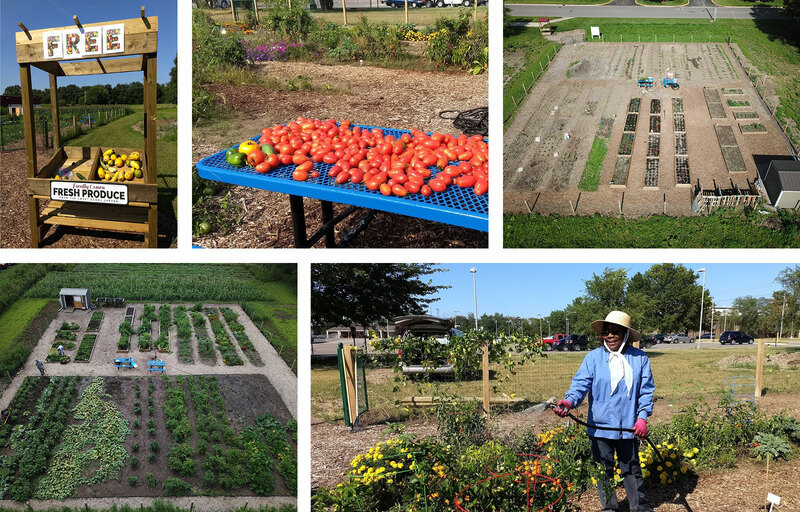 Their collective efforts provided local community members and students at surrounding schools a place to grow and eat organic fruits and vegetables, and a green space where they can connect with nature and build community. In October of 2018, American Licorice will send two associates to Ripley, Ohio to clean up garbage from the banks of the Ohio River, one of the most polluted rivers in the nation. During two week-long projects, the teams will work alongside Living Lands & Waters with the collective goal of removing upwards of 25,000 pounds of garbage from the river. But there's more! While in Ohio, our associates will have a chance to experience the river ecology, visit a lock, explore ways to better manage waste in their daily lives, and work collaboratively to create meaningful change. In 2017, we dedicated 15,000 square feet of company land to become a community garden! Community members are free to pick at the U-Pick section and are also encouraged to reserve and tend to their own garden plots. Numerous types of vegetables, fruits, and wildflowers grow and enrich our community. May efforts from the community have helped to make our Sweet Goods Garden a success!